PORT ST. LUCIE, Fla. — A South Florida family of seven says they're out thousands of dollars after renting a home but never receiving the keys. The Wells family worries their money is gone for good, and they fear they're not the only ones who have fallen victim to a possible scam. Now Port St. Lucie police are investigating. Ashley Wells said she, her husband, and five children are moving to Florida from New York. They began their home search like many do, looking online for listings. Wells also looked on Craigslist, where she found a listing she thought would make a perfect fit for her family at a reasonable price. A contact was listed on the ad, and she heard back from a man quickly. She said the man claimed to own the property, but he responded by giving her a second address to check out. "He messaged me, told me I could come look at it. I came and looked at it," Wells said, claiming the man also had the code to unlock the key box around the doorknob, which he gave to Wells so she could look inside the home. "He even had me stay on the phone with him while I was in the home for security purposes." She never questioned the legitimacy of the listing. She loved the home and started the process to secure it for her family. At the man's direction, she deposited $2800 into a woman's account whose name matched one of the names on a signed lease. The man claimed it was his attorney’s account. Wells also signed a lease which appeared to be official. Wells said police later told her the lease was fake. Now her family is out the money and still doesn’t have the keys to the home. Wells said the man has called her telling her he will meet her at the home with the keys, but has not shown up for two days. The Wells on Thursday drove by the home they were originally interested in on Craigslist. A neighbor there said people had also lost money trying to rent that home. Neighbor Phyllis Williams said she has seen dozens of people come by the home after seeing the Craigslist ad. One woman told Williams she paid $1,000 and never got a key. "One woman was so hysterical," Williams said. Records show both homes are actually owned by a corporation based out of California, which owns rental properties across the country. 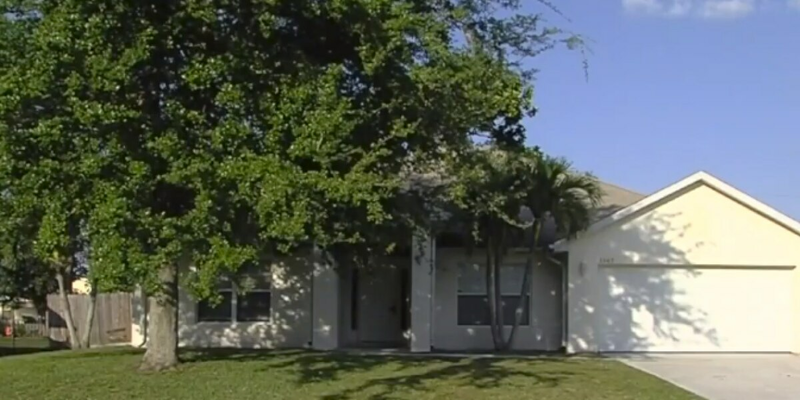 WPTV contacted the corporation Thursday evening to see if they are aware that someone could be fraudulently trying to list these properties on Craigslist. We are still waiting for a response.